There are plenty of perks working at TNW. But one of the absolute coolest is when we find an awesome new gadget — and get to give it to you! 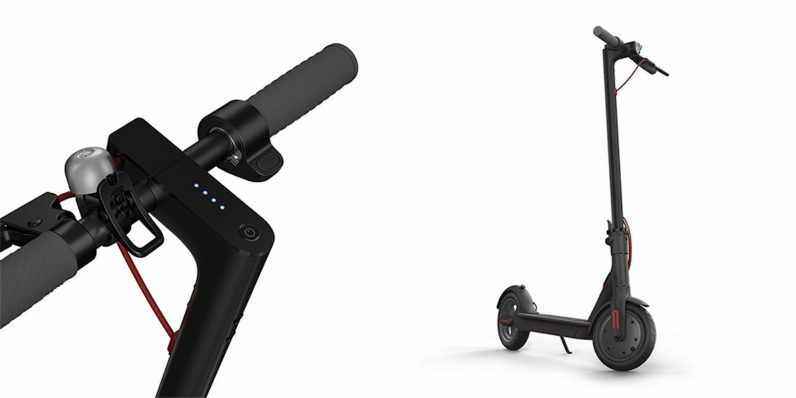 Case in point — the Xiaomi Mi Electric Scooter, which is equal parts fun recreational item as well as a wily alternative to short intra-city commuting. We’ve got one burning a proverbial hole in our pocket, so sign up to win the Xiaomi Mi Electric Scooter Giveaway and we might be sending it your way. If you’re not familiar with the Xiaomi Mi, a Red Dot Design “Best of the Best” award winner, it may be the answer to your short-hop travel needs. Weighing less than 27 pounds, the Mi is a foldable scooter that can power you over moderate distances, then casually packs up into a compact form for carrying around with you when you reach your destination. The 250W motor runs on electricity and will take you over 18 miles on a charge, which is probably far enough to get you to most of your regular haunts like work, the gym, or the grocery store. Just think of all the money you can save on Uber runs alone! To win this $499 scooter, all you’ve got to do is fill out an online entry form with your email address, plus score additional entries when you send the page to a friend and get them to enter too. Enter for your chance to win from TNW Deals! Your registration needs to be in by Sept. 15.